TEHRAN, Iran (AP) — An Iranian media outlet close to the hard-line Revolutionary Guard published a video Tuesday threatening missile attacks on the capitals of Saudi Arabia and the United Arab Emirates, further raising tensions after a weekend militant attack on an Iranian military parade. The video, in a tweet by the semi-official Fars news agency that was later deleted, comes as Iran’s Supreme Leader Ayatollah Ali Khamenei blamed Riyadh and Abu Dhabi for the attack in the city of Ahvaz on Saturday, which killed at least 24 people and wounded over 60. Saudi Arabia adamantly rejected the allegations. 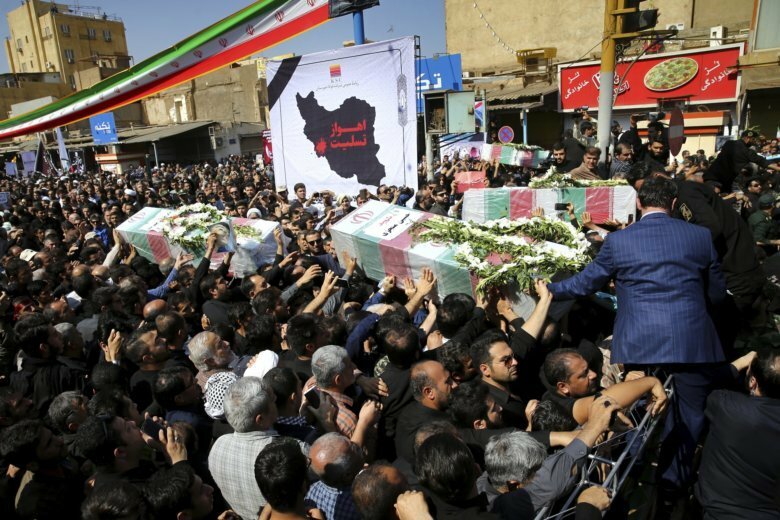 The threat amplifies the unease felt across the Persian Gulf, as Iran’s economy reels in the wake of America’s withdrawal from the 2015 nuclear deal and Saudi and Emirati forces are bogged down in their war against Iran-aligned rebels in Yemen. Saudi Arabia, which is locked in a bitter regional rivalry with Iran, on Tuesday rejected the “deplorable false accusations” it was involved in the attack. Arab separatists in the region claimed the attack and Iranian officials have blamed them for the assault. The separatists accuse Iran’s Persian-dominated government of discriminating against its ethnic Arab minority. Iran’s Khuzestan province, where Ahvaz is the provincial capital, has seen recent protests over Iran’s nationwide drought, as well as economic protests.